What are the advantages & how much do they cost? The features of a front door that are the most important are how it looks, how secure it is and how energy efficient it is. With many options in the market, we take a look at what makes Composite front doors such a good idea. What are composite front doors and how they are different? What are the main designs & styles of Composite Front Doors? 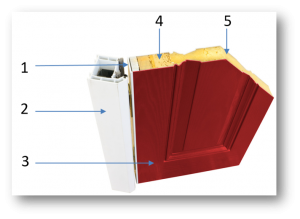 Composite Front door price guide. 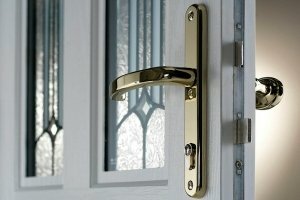 What are composite front doors and how they are different from other door designs? If you take a moment to think about it, just 1 person going in & out of the house each day means that a front door gets opened & closed almost 1,500 times per year (365 x open + 365 x closed x twice daily). For a family with children, that number going to be a lot higher. Composite front doors are designed to be tough and durable, as well as great looking. If you look after it, you can reasonably expect a good quality Composite front door to last 30 years or more. What makes composite doors stand out against the competition is this combination of strength, visual appearance, energy efficiency and lifespan. 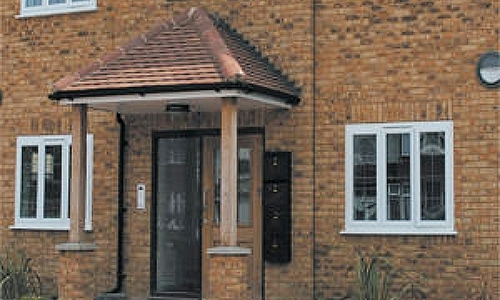 A composite door is made from a “sandwich” of different materials. 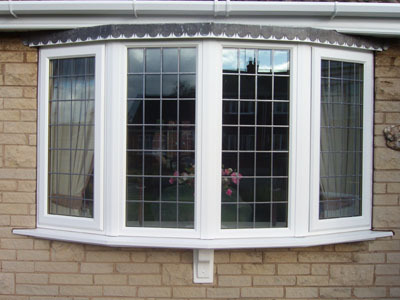 The outer skin is a 2mm to 3mm thick Glass Reinforced Polymer, which is known worldwide as GRP. This is an extraordinarily tough material which can really take some rough handling with ease. Commonly used for the hulls of high spec yachts and speedboats, car body part manufacture and even surf boards. The inner core can either be made from solid wood (engineered timber) or a solid thermally insulating rigid foam. Surrounding the core is usually a timber sub frame of either hardwood or engineered timber. The edges of the door are either banded with uPVC or Aluminium inserts. The whole door is hung within a purpose built steel reinforced UPVC Frame. Composite doors are typically around 44mm thick, compared to 28mm for the average door. 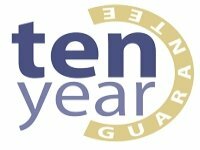 They are extremely weather proof with some having accreditations under British Standards BSEN 12211:2000, BSEN 1027:2000, BSEN 1026:2000 (these are hurricane strength winds). 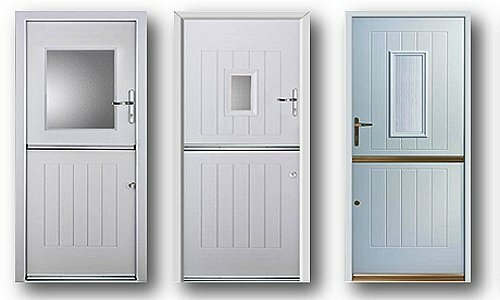 Apart from the construction method, what makes composite doors different from Hardwood, UPVC Doors or Aluminium doors is the fact that they use all three of these materials in the design. This “composite” construction helps to make the door more stable, offering less issues with expansion or contraction than you can have with a door made from a single material. The other major difference is when it comes to having a coloured front door. UPVC, hardwood, softwood, engineered wood and aluminium front doors all have their colours applied to the surfaces of the door – either by painting, or in the case of uPVC Front doors, by “wrapping a coloured foil” around the door and binding it via a very high temperature bonding process. On the other hand, the outer skin of a composite door itself is coloured, not a layer applied afterward. In other words, the colour goes “all the way through” and therefore cannot peel off or crack over time. 75mm UPVC Steel reinforced main door frame. 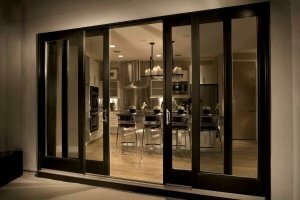 What are the main designs & styles of double glazed Composite front doors? Solid, with no glazing of any sort. Part glazed, with small glazed panels. Half glazed, where the top half of the door is glazed. Full glazed, where the glazed area extends from top to bottom. A single regular sized front door in the UK will be between 1981mm x 762mm (6ft 6in x 2ft 6in) up to a width of around 837mm or 2ft 9in. These sizes do not include the outer door frame. As a rough guide, you can take it that 1 inch is the same size as 25 millimeters. If your opening is sized larger than those dimensions, it is common to add side or top panels. The side panels and top panels can also be glazed or solid, as per your preferences. Typically, a 75mm (3 inch), steel reinforced uPVC fame will be used for the outer frame, but there is nothing to stop you making use of hardwood if you wish. 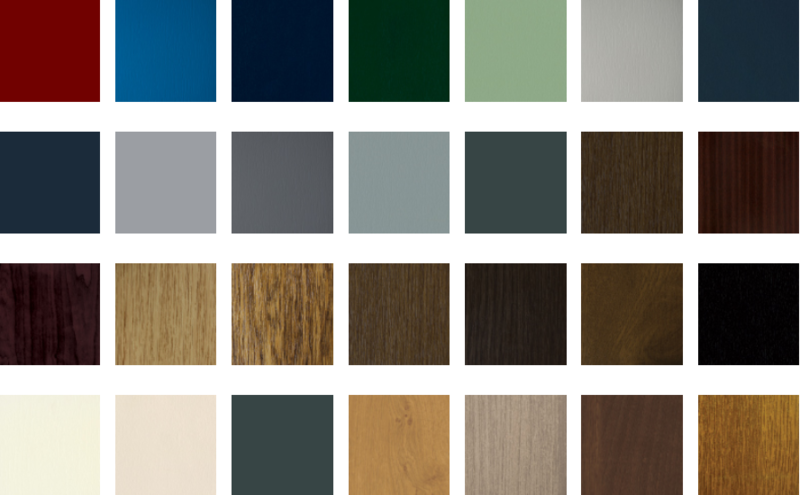 Options for the final finished surface of composite front doors are smooth or timber-effect, with an extensive range of colours. 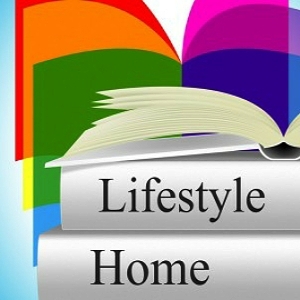 Choose a single colour or one colour inside & another colour outside. Smooth finishes give a high-end glossy finish that look amazing and stay that way for decades with nothing more difficult to do than to keep it clean. Wood-grain composite doors have highly detailed textured surfaces that, on top quality doors, are very difficult to distinguish from the “real thing”. Timber grain patterns are impressed into the GRP skin itself at high temperature / pressure and are permanent. The GRP skin is coloured all the way through, not painted, and is super-resistant to fading and does not crack or peel off. 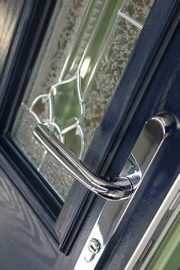 A lot of composite door designs feature glazing. A standard double glazed composite door is usually fitted with 24mm sealed units and toughened glass. You may also find that the more glass you use, the more you are likely to discover the Door Energy Rating to reduce. A 6 panel solid composite door could be ‘A-rated’, whilst a half glass door could be “b-rated”. Check before you buy. Patterned, obscure, leaded and coloured glass panels are very popular for composite front doors, in order to give some level of privacy but to also allow natural light to come into the house. Door knockers, handles, locks, hinges and letterbox. All of these can be customised to your taste. Popular finishes are chrome, gold, brass, silver, black or graphite. There are a number of other optional extras that can be further added to enhance the door such as spy holes, weather guards, kick plates, low level thresholds for disability access. 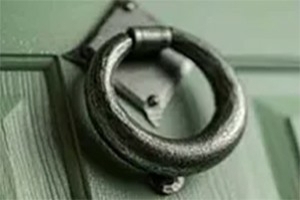 Chose to have your door left or right opening or even, at an extra charge, have the door opening outwards (although the latter is not very common at all). 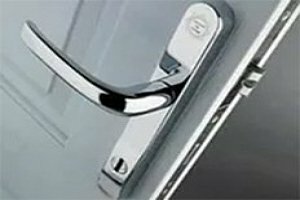 How much do double glazed composite front doors cost? In most case you will find a price for the basic door and then see small increments to the original cost as you personalise the look and function. Threshold type – regular or low level. Security rating (example: “secured by design”). The need for side & top panels or frame extenders. Amount of labour needed to remove old door & replace with new one. White gloss finish door. Pre-hung in frame if purchased “supply only”. 75mm door frame, with 44mm thick door. Solid or part glazed visual styling (toughened where fitted). Standard height cill / threshold 85mm to 150mm. Multipoint locking. 3 sets of keys. Triple hinges, letter box, door knocker, door handles. Adding Argon gas filled sealed units, wood-grain finishes, laminated glazing, thumb turn locks and security chains will usually be priced as optional extra’s. Check with your supplier to confirm what is, and what is not, included in the price. 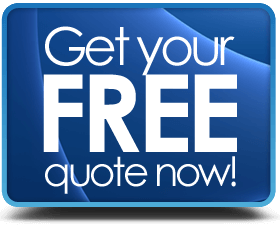 just drop us a line & we will arrange up to 4 free written quotations from professional & certified companies for you.